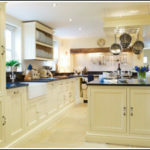 For the height of luxury, opt for a bespoke freestanding kitchen table that will guarantee distinct, minimalist styling. This featured dining table presents an almost earthy aesthetic with its black stained and polished curly maple finish and well-defined design. 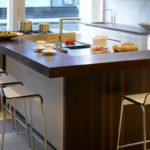 Highly contemporary, this freestanding design not only offers a place to sit and dine, but also creates another work surface for food preparation. This memorable and bespoke table design guarantees the ultimate in kitchen chic and is designed and handcrafted by British furniture specialists William Garvey. This bespoke freestanding table with four integral drawers both sides cost £5,547 +vat. Further enhancing its kitchen portfolio, Garvey has become an expert in the design and creation of teak wooden sinks. Beautiful in both design and look, you can opt for a Standard Single, Double or Belfast Style option all meticulously handmade by master craftsmen. However, should you require something a little more bespoke simply request a custom made sink; such as the 1.8 metre specially commissioned design recently delivered to Canada! 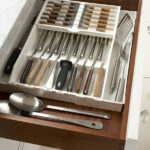 William Garvey’s wooden sinks can be supported from below or designed to become part of your existing kitchen cabinetry. 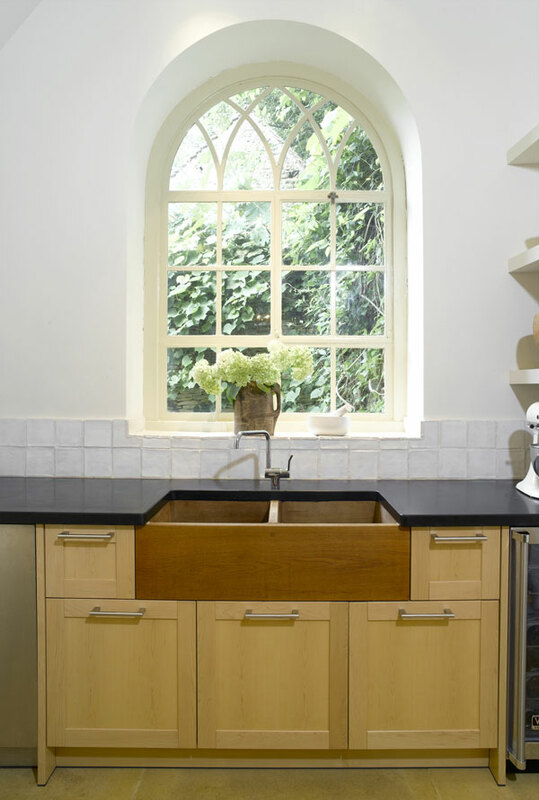 Prices start from £760+vat for the Standard Single Kitchen Sink in teak. With the ability and expertise to work with all types of wood and provide bespoke options to combine other materials such as glass, metal and leather allows William Garvey to fulfil any creative design. This bespoke arrangement of kitchen storage units finished in oak was designed by Catriona Braybrooke who enlisted British furniture designer William Garvey to make and supply this bespoke storage solution. Over 2500mm tall in height by 3000mm in width, this unit comprises a vast 12 cupboards to ensure its design delivers on purpose. The total cost of this project was £4,665 +vat. 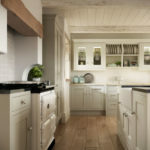 From wooden kitchen furniture, storage units and cabinetry, through to single, double and belfast style sinks, William Garvey will deliver on product, design and quality that is 100% British handmade.